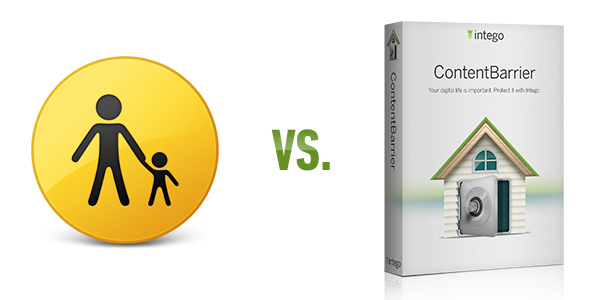 How Does Intego ContentBarrier Compare to Mac OS X’s Built-In Parental Controls? Configured correctly, parental controls can be remarkably effective. They give children the freedom to enjoy their favorite areas of the Internet while keeping them protected and safe from online threats and inappropriate material. With so many dangerous digital back alleys just a click away — and we know how curious children just love clicking on everything on the web — the idea of letting your child go online unsupervised can feel overwhelming and scary. It's no wonder so many of today's savvy parents look to parental control software for peace of mind. 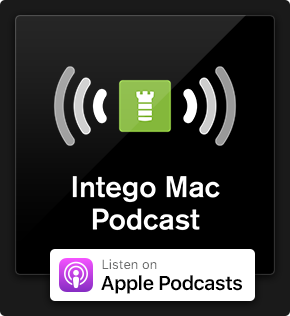 Apple already includes built-in parental controls for Mac OS X, but here at Intego, we also offer our own parental control software. This poses an important question. 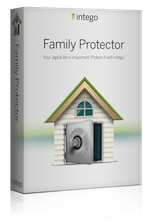 How does Intego ContentBarrier compare to Mac OS X's built-in parental controls? In truth, ContentBarrier offers very similar features – and so much more. So let's break it all down. Is it better to use the parental controls built into Mac OS X or ContentBarrier? Mac OS X's built-in parental controls let you manage how much time your kids spend on the Mac while aiming to protect them from inappropriate material. With an administrator account, you can prevent other user accounts from accessing websites with adult content, control who can be emailed and chatted with (limited to Mail and iChat), set time limits and view activity logs. Our parental control software, ContentBarrier, functions in a similar way. It helps you manage Internet access for your children by setting up customizable profiles, monitors online activity, lets you set time limits, and restricts access to inappropriate content. ContentBarrier also lets you create the proper boundaries for any child from toddler to teen, which gives your children the freedom to explore the online world appropriate for their age while making sure they’re kept safe. So, how does the Mac's built-in Parental Controls compare to ContentBarrier? The Content Filter Test: Let's start with the company we love, Apple. The Internet content filter is built into the core of Apple's operating system and allows the filtering of Internet access, regardless of which web browser is used. The Internet content filter operates in three modes: unrestricted, automatic, and whitelist. With this, you can prevent your child from accessing websites with adult content. For more details, Apple has a support page that outlines each mode. ContentBarrier, on the other hand, allows you to block out entire categories of Internet sites to keep your children from being exposed to objectionable content. To avoid over-filtering, we allow the creation of a specific list of approved websites, so your kids can access them without accidentally running into a filter. Additionally, you can configure ContentBarrier to record keystrokes and take screenshots of active applications. This is a good way to make sure your kids haven't stumbled across content they shouldn't be looking at or sharing personal information with strangers. The Email and Chat Filter Test: While chatting and web browsing are two of the most common types of Internet activities, parental controls need to provide filtering for other types of Internet access, including emails. With the Mac's Parental Controls, you can set restrictions for Mail and iChat, limiting who your children can exchange email with and who they can iChat with. There is even the option for a permission request to be sent to you if someone who isn't on the approved contact list attempts to communicate with your child. ContentBarrier has options to block email altogether or filter inappropriate emails. It allows you to apply its built-in content filters to email messages that are transferred through any email program, and gives you a range of options, from allowing all email through, filtering inappropriate emails, or block all email from coming through standard email programs. Now, for parents worried about online predators, here's a major difference: ContentBarrier includes AntiPredator chat monitoring. It can monitor Internet chat sessions to make sure your child isn't having an inappropriate conversation with a stranger. As soon as any objectionable terminology is used, the chat session can be shut down and you'll be notified, so you can educate your children about being safe and smart online. The Time Limits Test: Setting time limits are also powerful. With the Mac's built-in parental controls, you can specify when and for how long your child can use the computer. You can limit your child's computer use during the weekdays, and then limit them a different amount of time for the weekends. When you set bedtime hours, the computer will automatically log out when it begins, and your child cannot login again until the period has ended. ContentBarrier also lets you set time limits on Internet access, and it includes customizable options for each user with parental controls. You can assign each child a unique profile, and then create an individualized schedule for each of your children that allows them to access the Internet only on certain days and for a certain length of time. Personalized parental control settings by family member definitely means less grumbles from your children. Winner: ContentBarrier, because your older son won't scowl at you for treating him like a "baby" for setting the same restrictions as his little sister. The Activity Logs Test: When viewing OS X's activity logs, you can see a detailed list of the applications your child used, the websites visited, and the iChats that they engaged in. This activity can be sorted by the current day, week, month, or even the past year. Likewise, ContentBarrier provides a complete log of all Internet activity for every user being monitored. It shows a record of all users' web access attempts for the past week, and includes detailed reports on various types of log entries: web, chats, applications, session, recorded keyboard, recorded screen, and email. When viewing log entries for websites, ContentBarrier lets you quickly allow or block websites that are listed in the log. Similarly, you can allow a blocked application to access the Internet from the log entries view. This is just another convenient feature that enables you to easily make changes to parental control settings. By our tally, that makes ContentBarrier the winner. 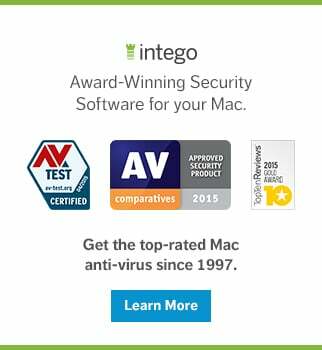 But come on, this is The Mac Security Blog from Intego, so what did you expect? Sure, Mac OS X's built-in parental controls allow you to remotely manage settings on your child's Mac, but only as long as it's on the same network, and it does lack anti-predator features that Intego's parental control software offers. (There has also been some gripe about the quality of its content filters.) But hey, at least Apple is trying – right? ContetBarrier is a more robust solution that acts as your children's digital guardian whenever they go online, giving them a world that's safe and age-appropriate, and giving you peace of mind. Combined with other Internet security tools, like anti-virus and a firewall, you can greatly decrease the possibility of cybercriminals being able to access your machine, while keeping inappropriate material out of your Mac. And away, of course, from the eyes of curious children clicking on everything on the web. This entry was posted in Apple, Recommended, Software & Apps and tagged ContentBarrier, Intego, Mac, Mac OS X, OS X, parental control software, parental controls. Bookmark the permalink.